He plays a ruthless media tycoon for the first major TV role of his career. 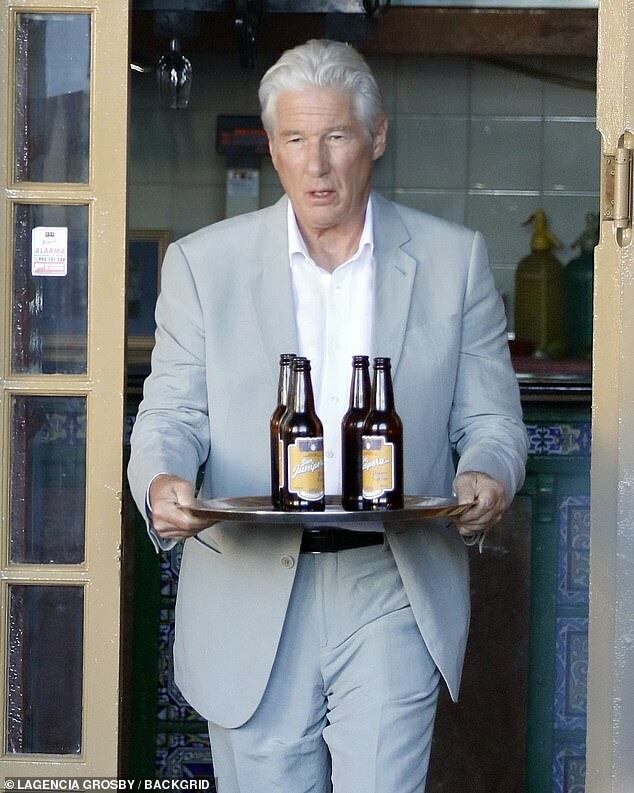 And Richard Gere transformed into a troubled business man in the first official stills from upcoming BBC drama, MotherFatherSon this week. The Pretty Woman actor, 69, looked stoic as businessman Max, as he stared into the distance in the tense scene, clad in a olive shirt and slate grey blazer. The handsome star showed off his ageless good looks as he wore his silver locks in a coiffed quiff. The Officer and a Gentleman star was joined in the scene by Billy Howle, who plays his son Caden in the drama. Billy, 29, looked dapper in a powder blue shirt, pinstripe tie and black suit jacket for the scene. Richard and Billy star alongside Helen McCrory in MotherFatherSon – created and written by Tom Rob Smith (known for his work on The Assassination of Gianni Versace: American Crime Story). 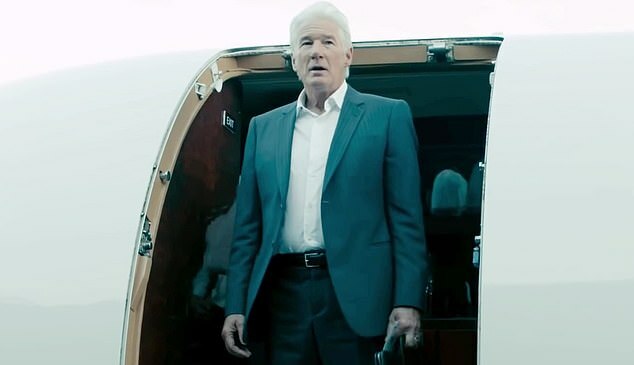 The series is set to air on BBC Two and fans will see Gere take on the role of Max – a self-made businessman. McCrory plays his estranged wife Kathryn following the breakdown of their marriage and the duo share a son Caden, 30, who is set to follow in his father’s footsteps while running Max’s UK newspaper. However, the future of the family and its empire is threatened when Caden spirals out of control and causes devastating consequences. Speaking about the series, Gere insisted he was ‘so pleased’ to be a part of it. Howle said of his role in the series: ‘I feel humbled to be given the opportunity to portray such a complex role with such a specific set of challenges, for me as a person and an actor. I really hope that I can do it justice. Richard’s new project comes as the veteran actor is preparing to welcome his first child with third wife Alejandra Silva, 35. The couple confirmed their baby news in September, with Alejandra sharing a photo of herself and husband Gere meeting the Dalai Lama – who put his hand on her bump to bless the unborn child. Richard has an 18-year-old son called Homer with former wife Carey Lowell. Gere met his future wife at a luxury Italian boutique hotel Alejandra bought with her former husband and was managing at the time.